Today I’m taking you on a Mexican adventure, with this delicious Mexican Rice recipe. I would say that I definitely overlook Mexican food, even though it is so delicious; from chicken wraps and tacos to cheesy nachos – there is so much to choose from. So let’s start with this gorgeous recipe. Blend the tomato and onion in the blender (or processor) until pureed and thoroughly smooth. Transfer the mixture to measuring cup and reserve exactly 2 cups. Remove the seeds and the middle part of the chilies and discard. Finely chop the chilies and set aside. Rinse the rice with cold running water, until the water becomes clear – about 1 ½ minutes. (This is a very important step to ensure that your rice is fluffy and not sticky). On a low-medium heat, heat the oil in a large oven safe pan (about 12 inches), for 2 minutes. Add rice and fry, stirring until it is light golden and translucent, about 6-8 minutes. Reduce the heat to medium, add garlic and chopped chili and cook, stirring constantly until it becomes fragrant, 1 ½ minutes. Stir in the broth, pureed mixture, tomato paste, and salt. Increase the heat to medium high, and bring to a boil. 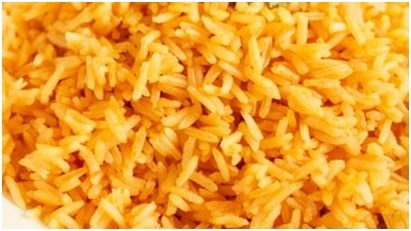 Cover the pan and transfer it to the oven to bake until the liquid is absorbed and the rice is cooked, 30-35 minutes. Make sure you stir half way through. Serve hot, you can enjoy it on its own or with a side of salad and meat or chicken. You can also squeeze a bit of lime over the rice for extra flavor. Leftovers are just as delicious so you can enjoy this rice the next day as well. Enjoy! 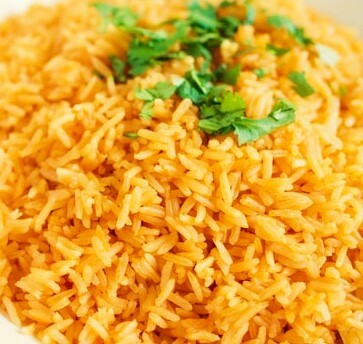 I am not exactly a fan of rice because it is difficult to ‘consume’, but this recipe looks simple and appetizing enough even for me to give it a try. why are we eating foreign foods? dont we realise that to be what we are today is because of our environment, culture and food thereoff? why would i consume food which has shaped mexicans to be mexicans, indians to be indians, arabs to be arabs, whites to be whites.has it never occured to our minds that eating such food can be detrimental to our health as our evolutionary development was encoded by the food of our ancestors as well as other things of nature that make us black, africans etc?